You’ve probably already been caught up in a major street closure because of a marathon. However, instead of shaking your fists at the runners, think about all of the good they’re doing. Running for the cause is no easy feat! Dedicating your time and your body to whatever fundraising cause is closest to your heart can leave you physically out of commission for days after. But, that being said, according to the Canadian Breast Cancer Foundation, the CIBC Run for the Cure raised $26.5 million last year! So it only makes sense that if your participants are going to give so much to your fundraising event, that you do your part to be well organized and prepared. Your participants will likely be more readily available on a weekend day or a holiday to participate in a marathon run – be it 5 miles or 20 miles. Runners are well rested on weekends, seeing that they haven’t committed to a day of work. On top of that, you want plenty of spectators out to encourage the runners, and to support your cause. Volunteer water servers and judges are more likely to devote their time on a weekend or holiday as well. Just because the fundraiser is underway, doesn’t mean your fundraising efforts are over! Make sure that you carry your sponsorship forms with you at all times during the marathon fundraiser. Even once the marathon is started, doesn’t mean that passersby might not feel the urge to donate to a cause they had no idea was taking place. This will often happen when you set up a run through a public park or in a major downtown area – especially on a weekend. Those out and about may not have known your fundraiser was taking place, but they may feel the urge to give once they do. Remember the old idea of getting family, friends and coworkers to make donations first. Why you might ask? Well because those close to you often feel compelled to make the most generous donations, and since they are typically approached first, their donations appear at the top of your fundraising form for later donators to see. This little trick, regardless of if it’s done on purpose or not, often compels everyone donating after to be more generous with their giving as well. Plus, friends, colleagues and relatives can help by passing your fundraising forms among their own network of coworkers, friends, family, social clubs and more. This large web of familiar people will spread your fundraising net that much wider. Speaking of spreading your Web further…take that image literally by using the Internet to help your fundraising efforts. Set up an online sponsorship page for your fundraising marathon. You can feature runners or teams of runners and allow them to individualize their own section with colors, a logo and a unique team name. In addition you can use this online donation page as a way to allow people to donate from afar. All they have to do is donate online via a secure service such as PayPal or by using their credit card. Making donations possible through the Web literally takes your fundraising audience from local – to worldwide. 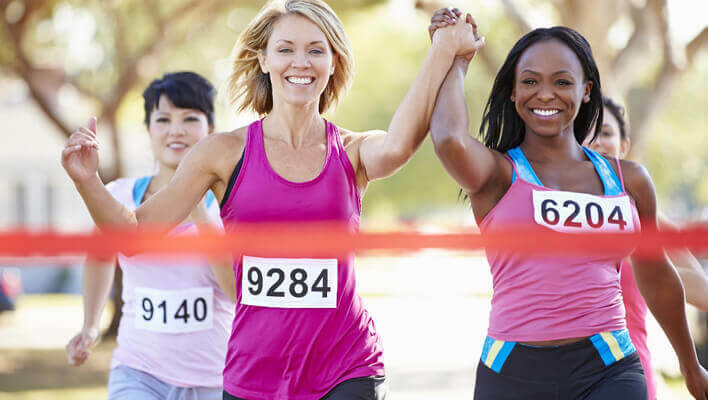 Your fundraising efforts don’t need to end when all the runners have crossed the finish line. No, in fact it doesn’t have to end until they have all gotten home safe and sound. If you have participated in runs for any cause before, you know how nice it is to warm up with a short jog before you go in for the full 10 miles. However, after your run is completed you know how much you dread the walk…or should I say limp…home. A much welcomed service and another great way to raise some cash for your cause is by offering a volunteer taxi service. The best way to do this is by asking for volunteers to shuttle runners home after the event. Every runner offered a lift home from the event will be asked to donate the money that they would have otherwise spent on a taxi to your fundraiser. This way the runners can come and enjoy the day without worrying about how they are going to get home. A little sugar goes a long way! Just because there are runners in attendance at your fundraiser, doesn’t mean they won’t dive into a homemade brownie, or even better, a homemade energy bar at the ½ mark. You could bake a batch of homemade protein bars and sell them at the water station checkpoints during your run for both runners and spectators to purchase. You will be amazed at how much your runners will enjoy some homemade baked goods and a nice cold bottle of water (for a small price towards your charity event – of course)! In a large bowl, beat butter, brown sugar, egg and vanilla. Fold in rolled oats, flour, baking powder, baking soda, raisins, dried cranberries and coconut. Spread evenly on greased baking sheet. Bake on 350°F (180°C) oven for 30 minutes. Cut into bars and store in an airtight container in the fridge until ready to serve. Wrap separately in saran wrap for the day of the fundraiser.